When to send party invitations? Send an invitation to early and the guest might forget, and send an invitation too late and the guest might have already made plans! 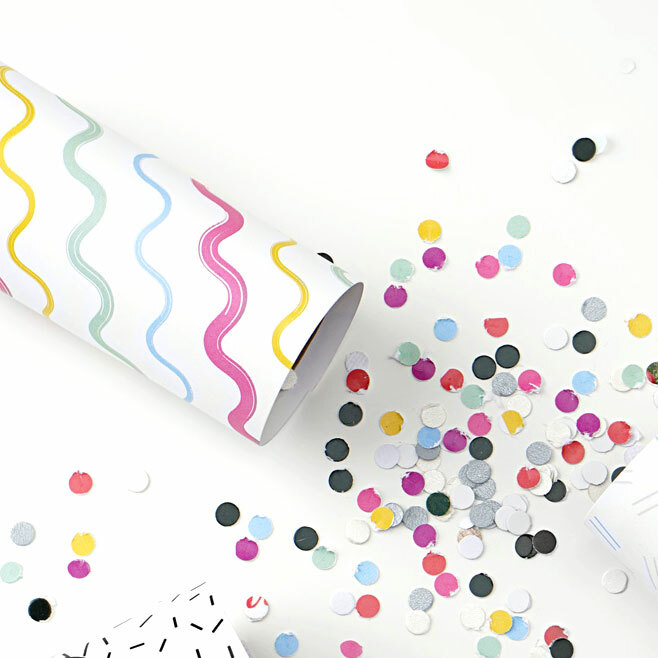 While there’s never an exact answer to when you should or shouldn’t send out your party invitations, this guide will help to give you an idea when the best time is to send out party invitations. If it’s a local wedding, send them out 2 months in advance. For destination weddings, your guests will need more time to book accommodations, so sending out invites 3-4 in advance is more appropriate. Parties like formal dinners, debutante, or charity balls require a little more time to send out because guests typically bring a guest and need to plan special attire! The holidays are always CRAZY busy, so people need a little more time to figure out their plans for the holidays. Send your Christmas or NYE party invites at least a month before to be safe. 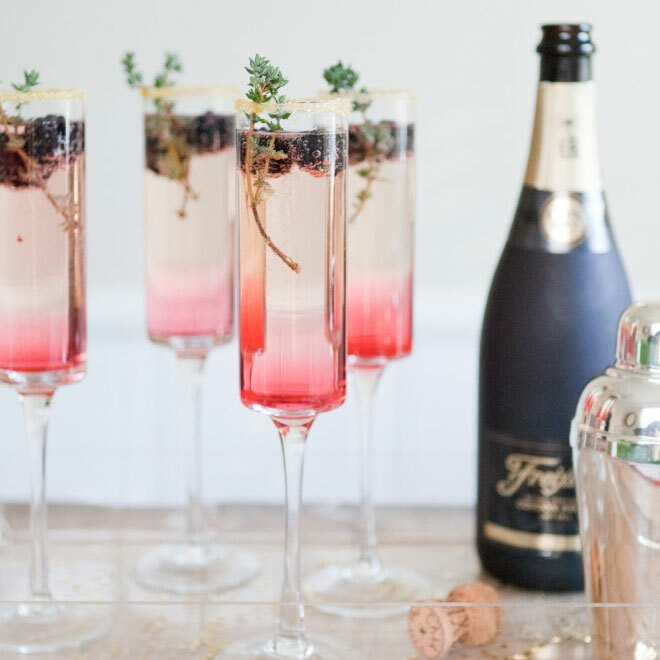 Parties like birthday, tea, going-away, anniversary, cocktail, graduation, or housewarming don’t need to be sent out too early. 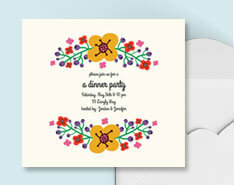 While these aren’t invites, these go almost hand-in-hand with any party. Be sure to send these out post-party as soon as possible! 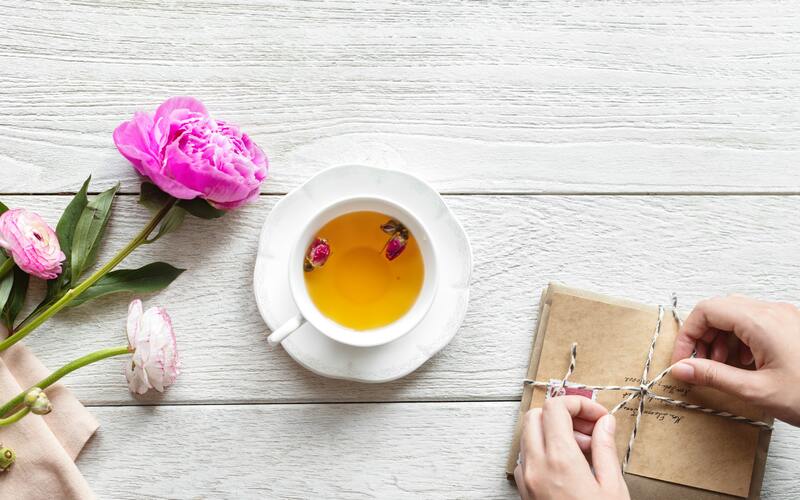 Always remember: if you’re planning on throwing a party several months away, it’s always a good idea to send out save-the-dates prior to the invitations. For parties in general, you want to give guests plenty of time to shop for gifts, outfits they may need for the party (especially if it is formal or has a theme), or need to find a date. 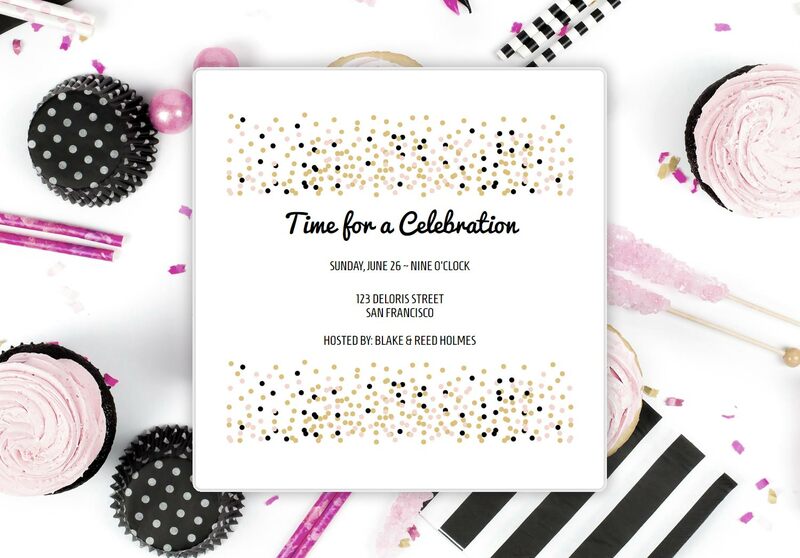 If you’re looking for some fast and easy-to-track invitations, be sure to browse our collection of online party invitations! The best part? 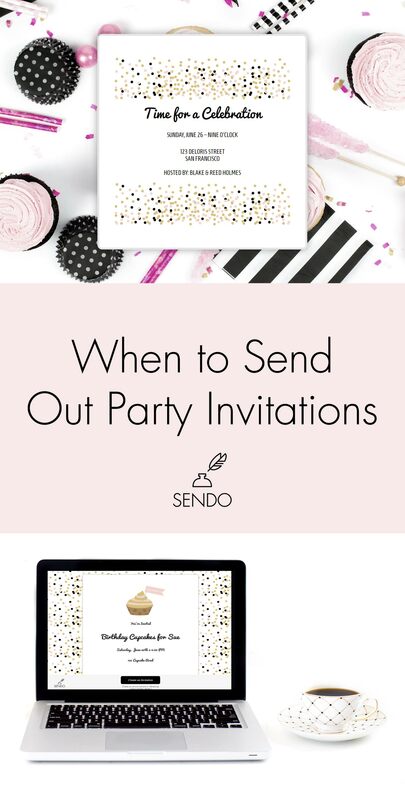 You can send out an email or text reminder about your party after you’ve already sent the invitations. 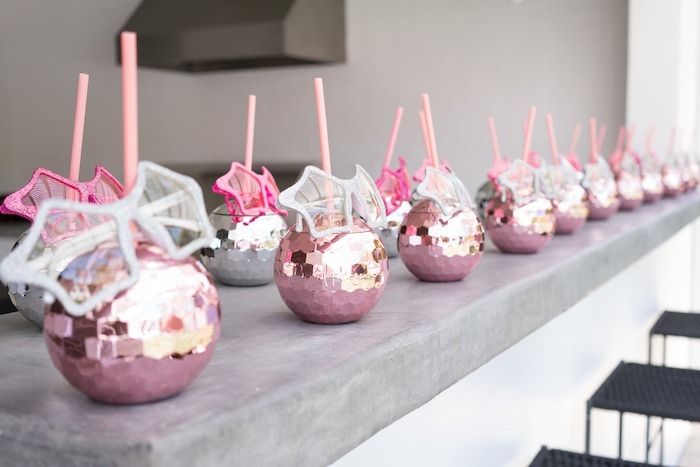 It’s the best way to keep your party on the top of your guest’s mind! Plus, They’re 100% customizable, are free to send for up to 10 guests, and you can easily track responses. Try it out on your next party! Really, it is very important to send birthday party invitations, it helps us to create guest list and for sure the time of sending the invitation card matters a lot. Thanks for sharing, worth reading the post.